Save yourself some grief and find another dealer unless you want to wait 10 years to break even on tbeir so called "RARE" coins. 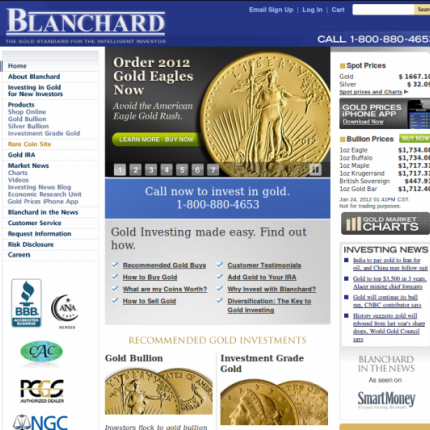 Blanchard will sell you product well above the market price where its is price gouging. Look around and find a reputable dealer who will not play the high pressure sales game and sell you product 55% above the market price. These people skirt the line of fraudulent business practices. DO NOT BELIEVE THE BETTER BUSINESS BUREAU RATINGS. THEY PAY THEM FOR THEIR RATINGS.